Why Fournier? | Fournier Law Firm, Ltd.
Why Choose the Fournier Law Firm, Ltd.? When selecting a real estate attorney to represent you in the purchase or sale of your home or other real estate matters, what are the attributes you are looking for? A reasonable fee? Years of experience? Customer service? You can find all of those at Fournier Law Firm, Ltd.
One question you should ask is, “Are all real estate law firms created equal?” The answer is a resounding NO! When you compare law firms, remember that the purchase or sale of real estate is one of the largest financial transactions you will make in your lifetime. You do not want to be “penny wise and pound foolish” by paying a discounted fee without considering the added value you will receive from a law firm that is devoted to protecting your investment while providing you with excellent service. Many firms advertise a surprisingly low flat fee (i.e. $150 or $250) to do your closing. Before choosing one of those firms, you need to understand what services you are receiving. 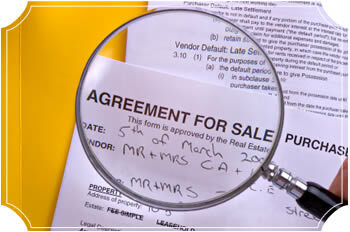 Will the firm assist you in preparing a purchase contract? Will it address financing difficulties, boundary or title disputes, defects discovered during home inspections, zoning issues, and all the other problems that need to be addressed before closing if the sale or purchase is to be concluded successfully? At Fournier Law Firm, Ltd., you receive service that addresses potential problems at every step of the transaction. You also need to be wary of hidden charges that are added to the flat fee. Some firms may charge to notarize your documents or impose additional fees if your closing takes too long. You need to make sure you understand every detail of a fee before you hire a law firm. The fees charged by Fournier Law Firm Ltd. are never hidden from you. Customer service is another issue you should consider before hiring a discount law firm. A low fee might mean that the attorney assigned to your case is rarely accessible. Will you be served effectively if your calls to your attorney always go to voicemail and you only receive a return call late at night? Will you be assured that an experienced attorney will be handling your real estate transaction? The bottom line is you deserve an attorney who is accessible, responsive, and experienced to represent you in one of the most important transactions of your life. We do not charge “discounted” fees but we do charge reasonable, affordable fees that reflect our careful attention to every aspect of your real estate purchase or sale. Hiring Fournier Law Firm, Ltd. gives you the peace of mind that comes from knowing your investment is being reviewed and protected by a qualified professional. Always reach a live person, not voice mail, when calling during business hours. Speak with one of our attorneys several times throughout your transaction. Have a certified paralegal work along with the attorney assigned to your file throughout the process. Receive an engagement letter with full disclosure of all fees to be charged (no hidden fees). An experienced attorney present at your closing to guide you through and explain the myriad documents that must be signed. Receive a closing binder with all important documents from your transaction tabbed and indexed for your safekeeping. If you seek a quality law firm that provides top customer service, is accessible, and utilizes experienced attorneys, look no further! Call us today for a consultation!